The problem is the word assure. You see, assure can be used only with animate objects that are capable of having anxiety. You assure your grandmother her green chicken is to die for — she doesn’t have to know you’re being literal. You assure the amoeba that the female amoebae are raving over his new pseudopod. But you can’t assure disposal. You can’t assure lamps or trees or imagination. Basically, if you can’t “there, there” what it is you are trying to console, assure is not the word for you. 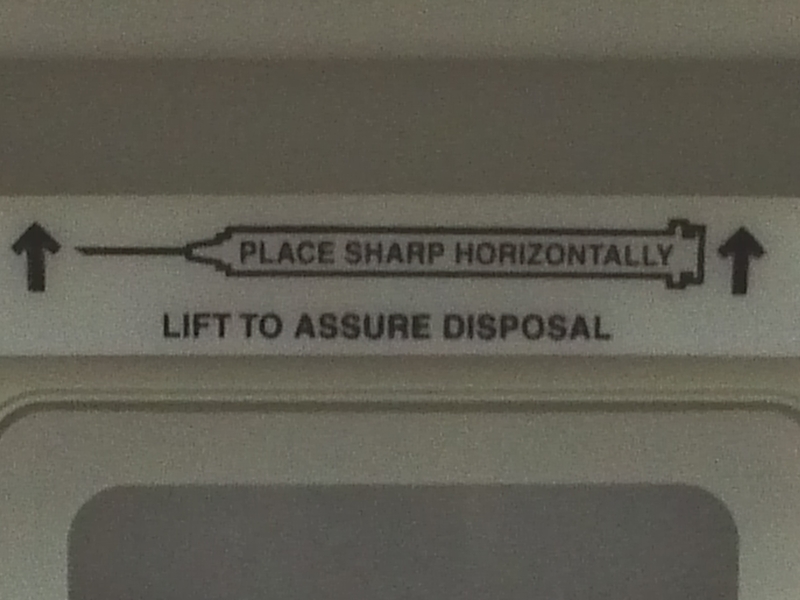 The word the needle-disposal-compartment makers meant to use, I think, is ensure. “Lift to ensure disposal” works because ensure is like a guarantee. You can ensure maximum grammar knowledge by reading this blog. You can ensure euphoria by listening to Fleetwood Mac (or by, theoretically, having 2nd-row tickets to their concert in June). There are loads of things to ensure — as long as they aren’t capable of worrying. Last, let’s just discuss insure since it seems to cause so much trouble. Basically, the word gets used in situations dealing with money. Think insurance. You can insure animate or inanimate things like cars, people, houses, etc. I see this one most commonly confused with ensure, so it’s a good one to know. All in one: I can assure you I insured my car to ensure responsibility and safety. Where were you when I wasn’t paying attention at school? I now understand this rule after 41 ignorant years. Thank you.